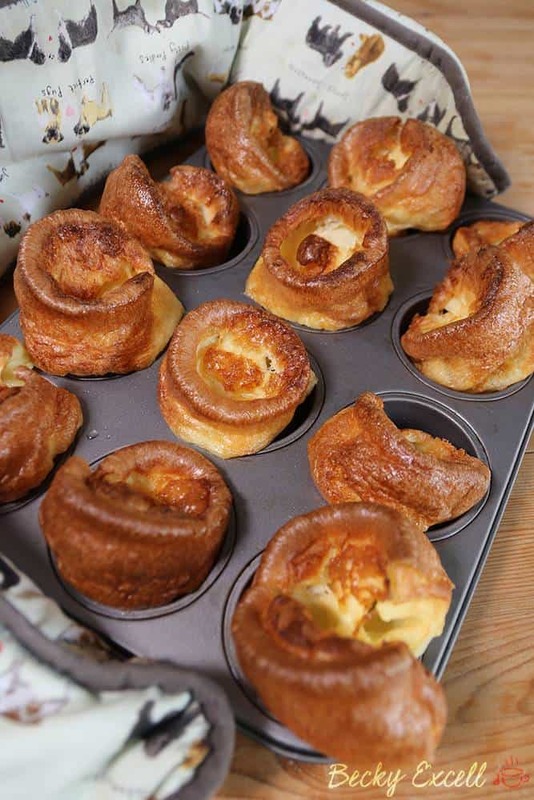 Gluten free Yorkshire pudding recipe, anyone? It’s one of my most requested recipes, but after many months of trying and testing (it’s a hard life) it’s finally here! Of course, they’re dairy free and low FODMAP too. 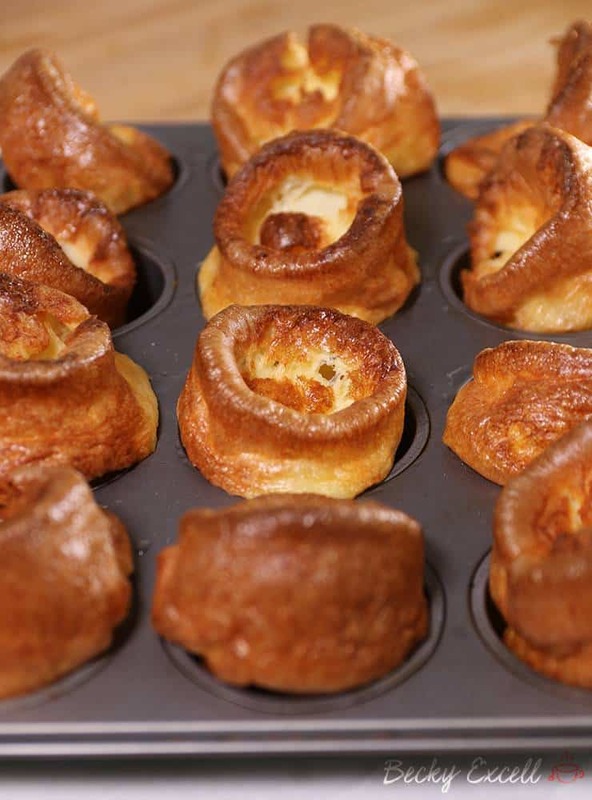 You’ll have to forgive the ‘all rise’ nickname for my gluten free Yorkshire pudding recipe. But these little beauties rise so much that only a song released by Blue in 2001 could possibly get my point across. I don’t really know what took me so long to get my gluten free Yorkshire pudding recipe up on the blog. I’ve made them exactly the same for years now, but I guess I just didn’t think anyone was that interested! After all, you can buy frozen gluten free Yorkshire puddings in the supermarket these days. Now don’t get me wrong, they’re awesome, but I wouldn’t liken them to my favourite boy-band whatsoever. A roast dinner or even Christmas lunch (sorry for using the ‘c word’ in September) wouldn’t be the same without these little babies. But what you might be surprised to hear is that I’ve used this exact recipe long since before I went gluten free. How tense was it having to scroll past that really long photo whilst left in suspense like that? Probably not a lot I would imagine. Well, I’ve used this exact recipe for years because my gluten free Yorkshire pudding recipe is 100% naturally gluten free anyway. 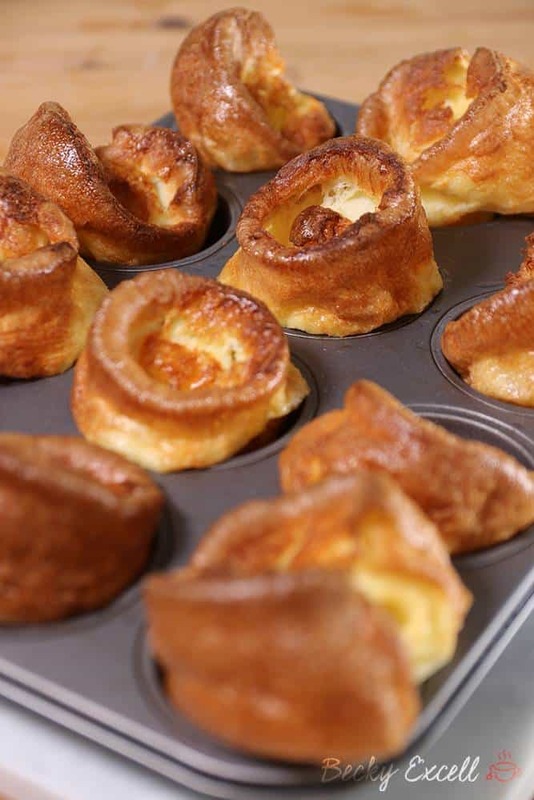 Cornflour is so light – and that’s what allows your Yorkshires to rise and grow like you’ve never seen before. Of course, the better the rise, the more golden and crispy they can become. They just can’t be beaten. But they can be eaten! But the biggest tip you’ll get from me (Aunt Becky) is that the oil must be as hot as possible before you even think about pouring your batter into your muffin tray. A little lower than ideal will still be fine, but for maximum rise, try your best to make sure the oil is sizzling hot. This next part might sound a bit weird. It might just be my family, but my Mum and Dad were very particular about when Yorkshire puddings were allowed. A Sunday roast was fine, but Christmas was a categorical no. Was it just my family?! I guess a traditional Christmas lunch isn’t supposed to have Yorkshire puddings or something? Most kids rebel against their parents by getting a tattoo or going skydiving, but I do it by having Yorkshire puddings on Christmas day. In your face, Mum! Anyway, enough about my life story! 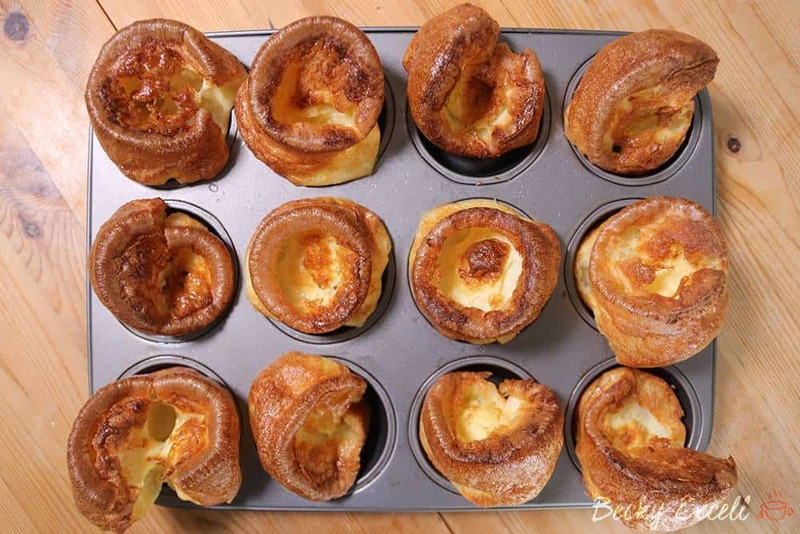 Here’s my gluten free Yorkshire pudding recipe. I promise that it’ll be your one love and if you come back for a fly by, your Yorkshire puddings are guaranteed to all rise. 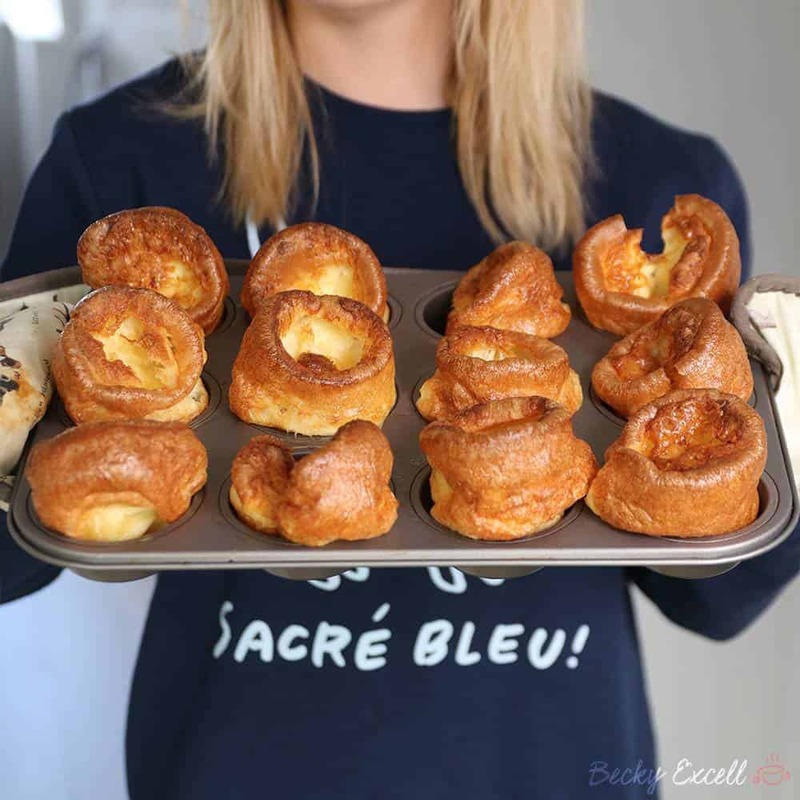 Here's my recipe for the best gluten free Yorkshire puddings if you love, light, airy and big ones! Add just under a tbsp of oil to each of the holes in the muffin tin. Place your tin in the oven for 10-15 minutes until the oil is super hot, basically spitting! Whilst your oil is getting hot, beat/whisk in your 6 eggs into your cornflour in a mixing bowl. Pour your yorkshire pudding mixture into a jug so it's easier to pour into each hole. Next you need to be quick! Remove your muffin tray from the oven and immediately fill each hole with your mixture, about 3/4 full. They should sizzle a little. Be very quick here and get them back in the oven asap! Remove from your oven once cooked and serve up with a delicious roast dinner (lots of gravy!). 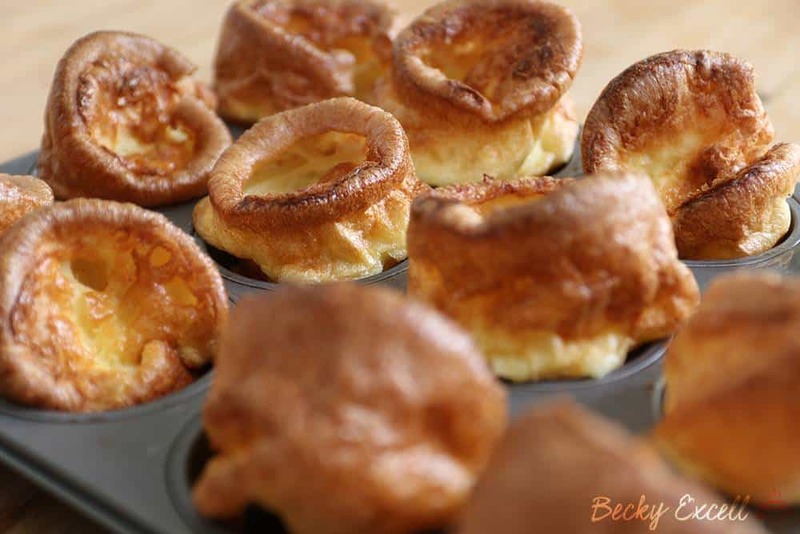 Thanks so much for checking out my gluten free Yorkshire pudding recipe! It really is such a simple recipe, but you really won’t believe how light and airy these Yorkshire puds get. Needless to say, roast dinners will never be the same again! Did you try this recipe? Any questions? Do you still listen to Blue while I’m baking like I do?! Please do let me know by leaving a comment below or on Facebook / Twitter / Instagram!